Read Moo's and Snoopy's adoption story. Some of the animals we care for at the BC SPCA, have a complicated journey to their forever homes. 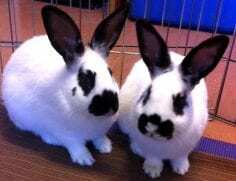 That was the case with Snoopy (left) and Moo (right), two handsome English spot mix rabbits. These two bunnies were part of a group of young rabbits surrendered to an Animal Protection Officer and taken to the BC SPCA Burnaby Branch on September 30, 2013. Here they were neutered and vaccinated to make them ready for adoption. To give them the best chance of finding a new home, they were moved to the BC SPCA Tri-Cities Education & Adoption Centre by the Drive for Lives animal transfer program. From here they were adopted together on March 15, 2014, but were again surrendered on November 21, 2017, due to a family allergy. Finally, on February 5, 2018, these fun, social, bonded brothers found a home and family that makes them jump for joy. Moo and Snoopy have adjusted really well into our family since we adopted them about seven months ago. They are so full of personality and do absolutely everything together. 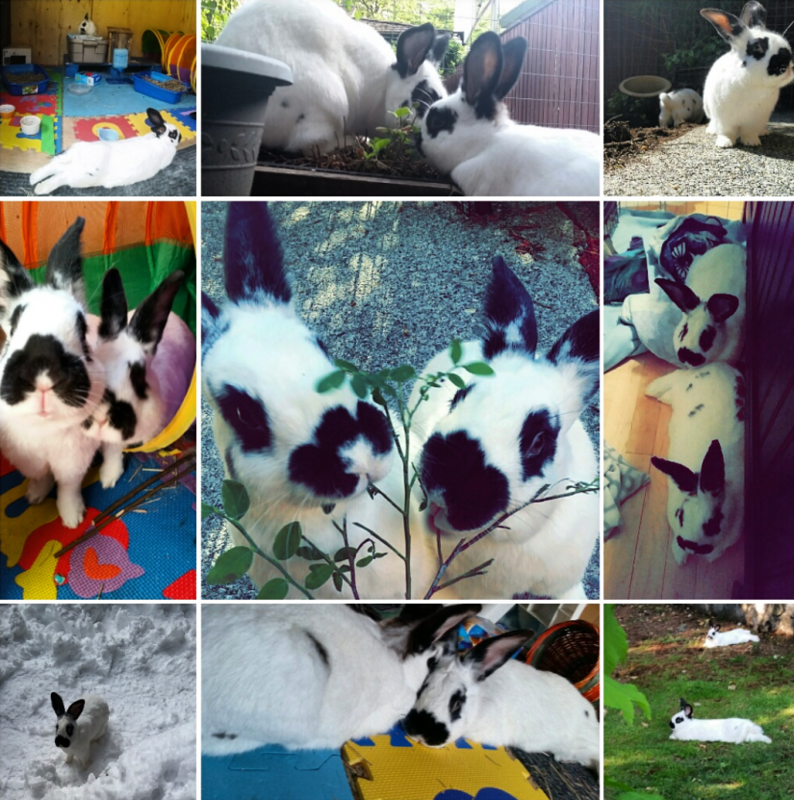 They love spending time in the garden on nice days and during the winter they had lots of fun playing in the snow. Other hobbies of theirs include remodelling cardboard box houses, shredding newspaper and getting forehead rubs before bedtime. I am so happy I was able to adopt them from you guys. They are the sweetest little buns! Well, it sure sounds like this is the final stop in the journey of these two happy brothers. May you continue to bring joy to each other for many years to come. Thank you for adopting Moo and Snoopy into your home.